Home > Uncategorized > May 11 Spaghetti Dinner to Feature FLHS a Cappella Group, Aria! Enjoy an all-you-can-eat feast of spaghetti with choice of two sauces, along with bread, salad, drinks and dessert, all crafted and served to you family-style. And please note that there will be a music program presented by the Fairfield Ludlowe High School female a cappella group, Aria! Please contact Charlene Brauns-Schindler if you can help set up, prepare food, serve, clean up… at 203-371-5068 or cbsfive5@gmail.com. 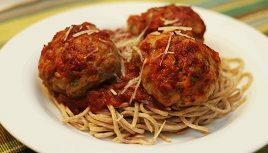 Remaining Spaghetti Dinners for 2019: Sept 14, Oct 12 and Nov 9.